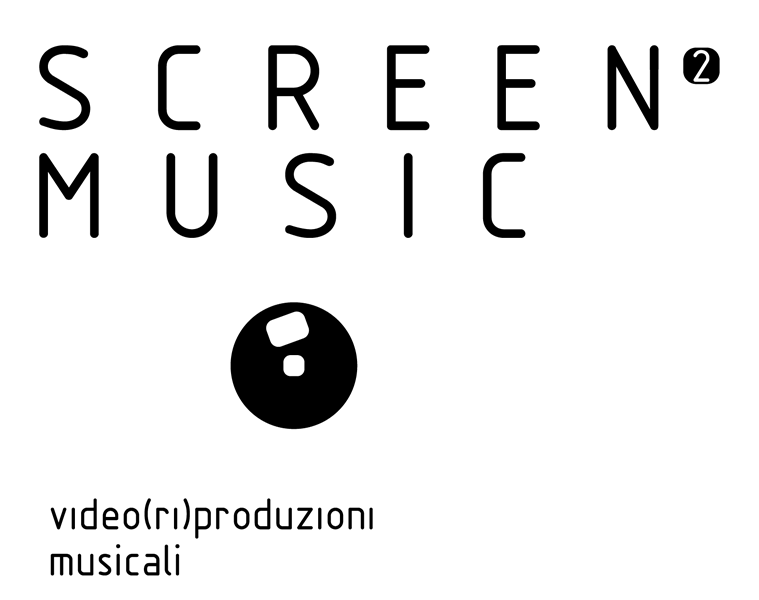 In the first edition of Screen Music, Digicult focused on the analysis and description of the most modern forms of electronic audiovisual interaction in terms of projections and live performances. 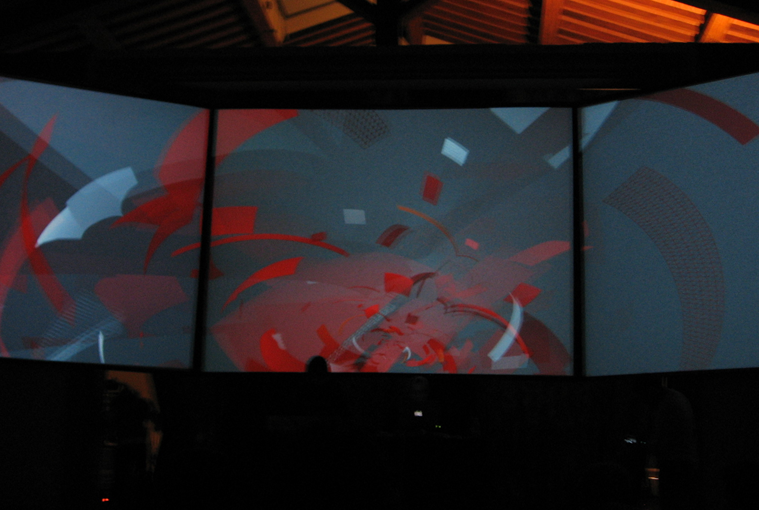 The second edition Screen Music 2, always curated by Marco Mancuso in the location of the Teatrino Lorenese/Fortezza da Basso in Florence from 25 to 28 of October 2007, wanted to point out the need of a reflection on the audiovisual aesthetics of tangible, of effectiveness, of manual character and analogic mechanicalness, in a period of excessive digital over-stimulation and exasperate techno-fetishism. 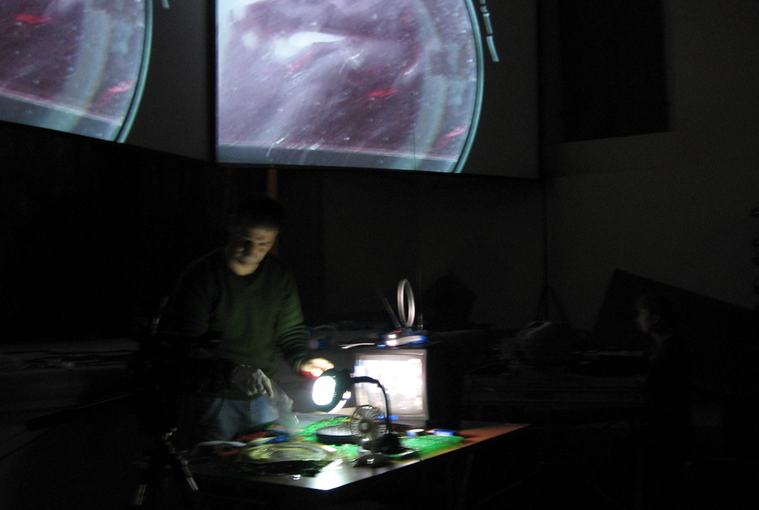 In the wide fields of contemporary experimentation, within the new mixedmedia disciplines/subjects, chapter number two of the Screen Music event, presented a multishaped group of artists as subjects of the most advanced electronic audiovisual research, in the many of its possible declinations, considering this ear also the possible means of dialogue between “digital” and “material” aesthetics. A step backwards, a moment to reflect and stop, a return to physicalness of action, to underline the possible alternative ways of audiovisual creativity that, operating by now for many years, assume a reason and a creative and operative value thanks indeed to the deep antithesis that they keep in opposition to the reigning digitalization of artistic instruments and creative aesthetics. It’s above all the part of Screen Music 2 that focused on these dynamics, thanks to some audiovisual performances where synaesthesia within music and video is realized through the dialogue between the sound produced with mechanical instruments and electrical and physical processes and the image that visualizes what happens on the stage, staging a direct relation in between the resonant source and the visual perception of the audience. In this direction moves also the last project Popular Mechanics of the pioneering musician Pierre Bastien produced by Aphex Twin’s Rephlex Label, Italian absolute preview, where a system of motors, filters, paper instruments, pulleys and Meccano pieces build up the rhythmic and hypnotic base of an audiovisual concert in the form of cinema-verité unique in the whole world. Mikomikona from Berlin show the last evolution of their awareded project Fourier Tranzformation I+II, where the electromagnetic camp produced by the two projectors creates the audio backstage when it interacts with the graphical patterns designed by the same artists on special projected slides, for an audiovisual performance in real time completely improvised and absolutely genial. 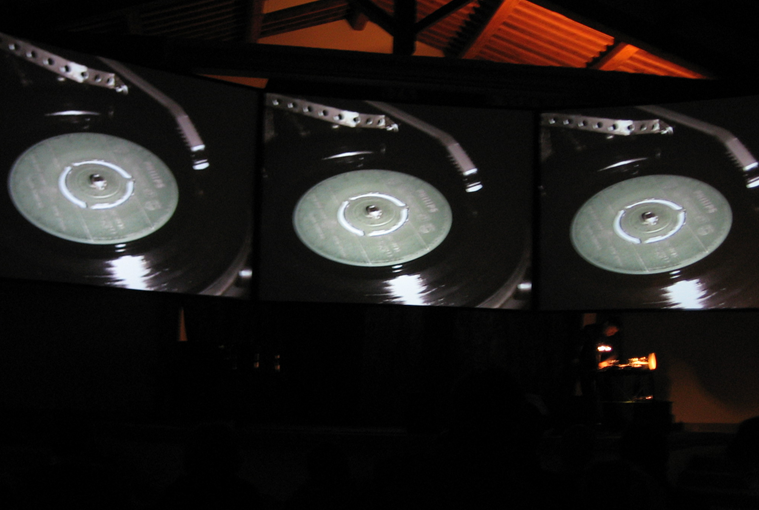 From Usa, Loud Objects are instead within the most important representatives on an international level of the circuit bending aesthetics, art of improvising audiovisual situationist performances through circuiting in real time electric and electronic elements, whose screen visualization constitutes a hypnotic element of fascination for the present audience. 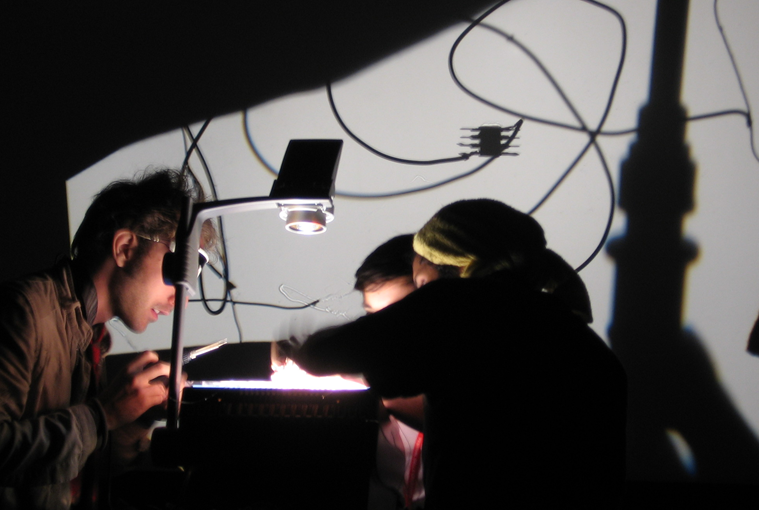 The Italian school is rapresented by Mylicon/En, who characterize themselves visualizing the processes deriving from a set of analogical and mechanical instruments, able to produce sounds digitally sampled and edited in real time. The club part of the two nights is in the end entrusted to two completely different but at the same time fascinating projects: on one side the 8 bit aesthetics of the collective from New York 8BitPeoples, present with its representatives Bit Shifter and Nullsleep with the visuals of the french visual artist Otro, that thanks to a wise manual work of hackering and circuiting of Game Boys and old Commodore, Atari and Amiga consoles, will lead the audience to an irreverent dance audiovisual delirium on the sounds and images typical of modern micromusic. On the other side the icon, body art performer and dj Franko B, will measure himself with the software artist and vj Sanch Tv in a live audiovisual set astride between techno music and generative art.